http://maientertainmentlaw.com/?search=furosemide-versus-lasix When it comes to eating Whole30 I try and find meals that I can enjoy with those around me who might not necessarily have the same dietary restrictions. Most of my friends are skeptical and think if it’s Whole30 it has to be awful, but then I surprise them with my cooking! 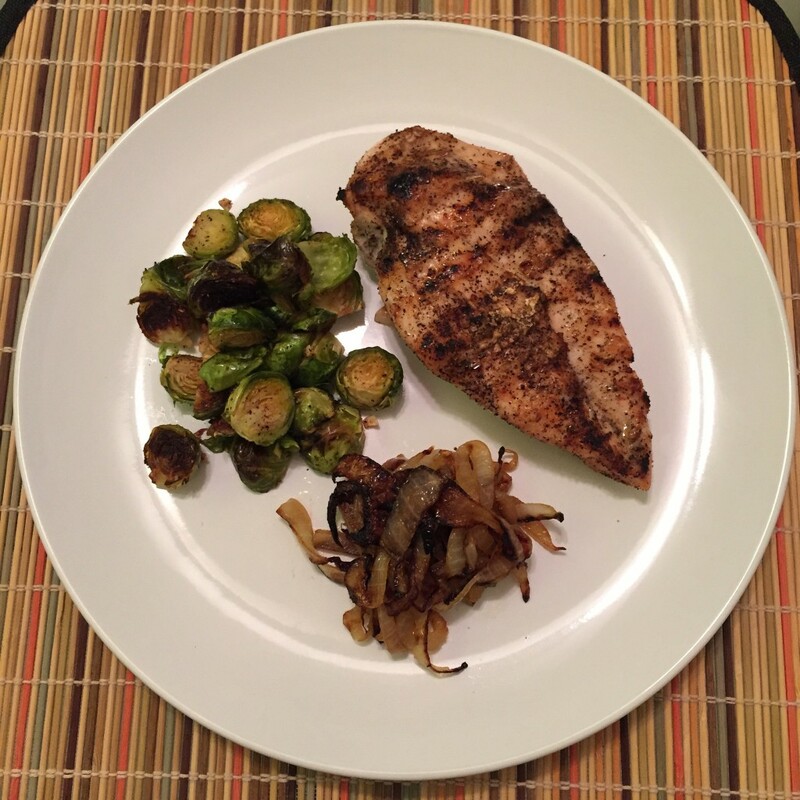 This weekend I made Salt & Pepper chicken with a side of Brussels sprouts and grilled onions. get link Anyone can make this chicken, I guarantee it. All you have to do is lightly season chicken breasts with sea salt and ground pepper, then grill them up until fully cooked! I do mine on a stove top grill and then toss them in the oven at 200°F for about 15min. cialis generico lilly For the Brussels sprouts I chop off the ends and then halve them. Then I toss them with extra virgin olive oil in a large bowl and add sea salt, ground black pepper and chopped garlic. These puppies are cooked on baking sheet for 40 minutes at 400°F. The onions are the fastest so I save these for last. Slice one yellow onion so that you keep the rings, and heat a small amount of olive oil in a pan over medium heat then add the onions. Stir occasionally and cook until browned and softened.